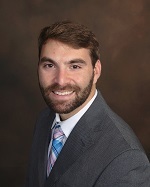 Andrew received his Bachelor’s degree from the University of Georgia in 2014 and his law degree also from the University of Georgia in 2018. While attending the University of Georgia School of Law, Andrew was a member of the mock trial team. He is a member of the Georgia bar, and concentrates his practice in workers’ compensation defense.